Little Shoes Our Angel Wore. Copyright, 1883, by C. Forman Smith. Words by Frank A. Kent. Maric by C Forman Smith. Where no careless hand can harm. Little shots our angel wore. While we treasure what you've left us, little shoes our angel wore. Oh, how happy was the time. Come to papa to have fun. They will patter never more. While we treasure, always will. 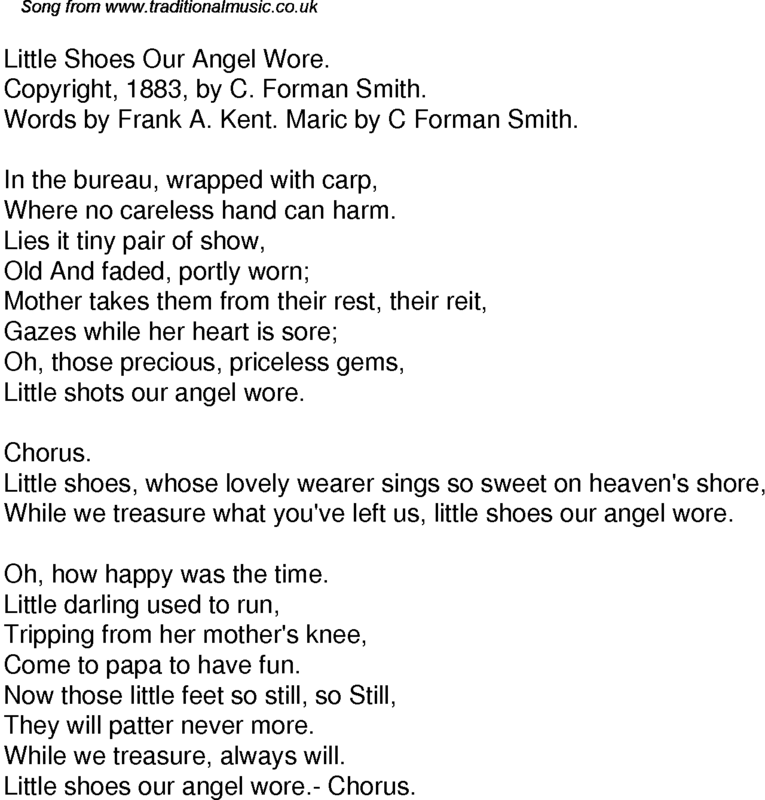 Little shoes our angel wore.- Chorus.